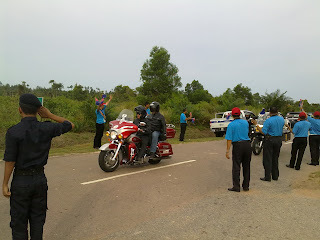 The event was held on 11th May to 13th May 2012. 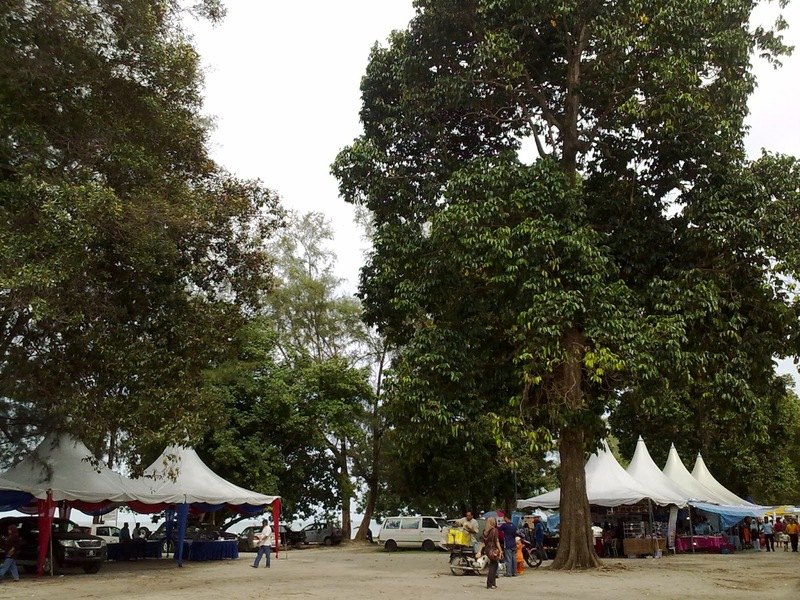 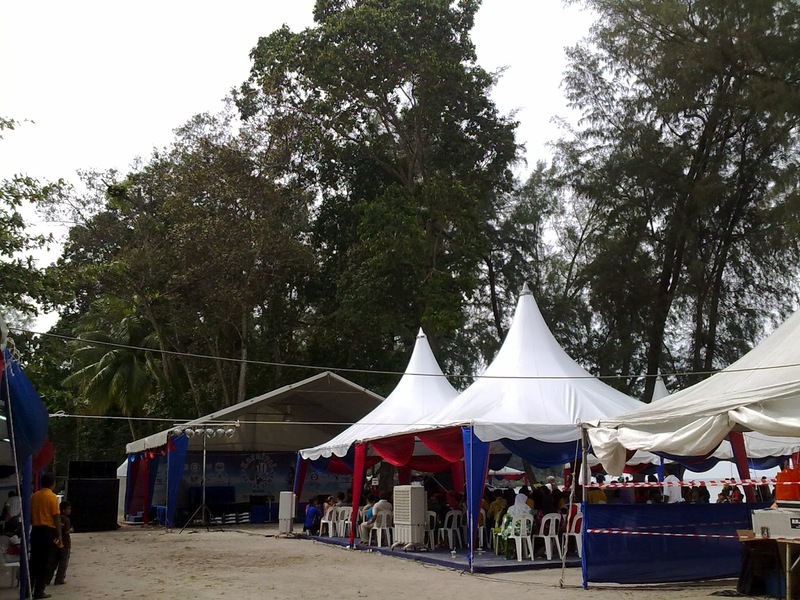 It's one of the yearly huge event in Tanjung Leman where the Sultan of the state and high ministers visited. 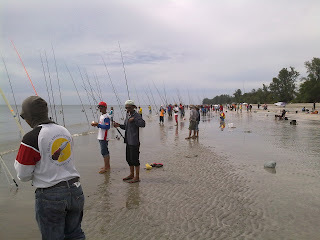 I was there on 13th May so I joined their beach fishing competition which started at 9 am. 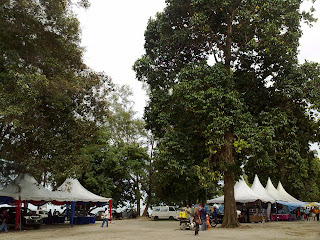 I arrived at about 9:30 am, paid the 60 Ringgit fee and get a place in front of the Felda Residence. This is where stingray are usually landed. 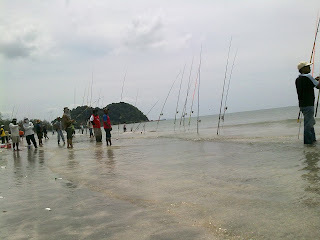 Actually I was reluctant to join because I do not have a beach rod but I figured that I need to join in the fun. The whole beach from Tunjuk Laut chalet to pass Felda Residence was full of surf fishing rod. Many times fishing lines were entangled and it was low tide almost all the way until 1:30 pm when the finishing horn finally blowed. Not many fishes were landed and I was told that the winner of the competition won only with a 900 grams sting ray. 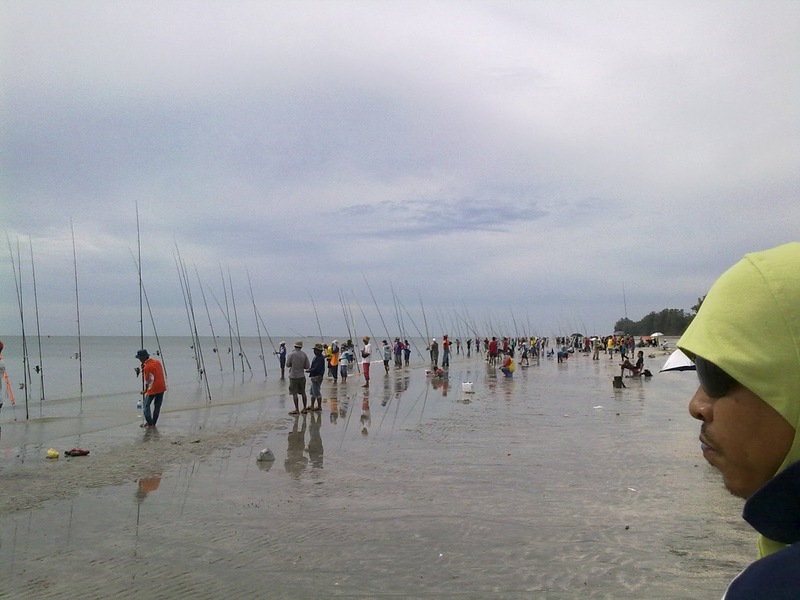 Although it was quite fun to experience my first fishing competition, this is also the first time I came back from Tanjung Leman with an empty icebox.